Sport is an ever changing world that can be completely different from the day before. With a announcements, deals and games taking place, new scores and signings being revealed, meets being announced and races being made, there is always a lot to keep track of and things you need to pay attention to. This is the same for every sport and so being on top of things is vital. What can make things tough to keep up with is that so many events and competitions takes place, so if your particular favourite is horse racing, then you're in the right place. The UK horse racing scene is always full and this summer is no exception. There are many meets and events going on, and here are the three you cannot miss. 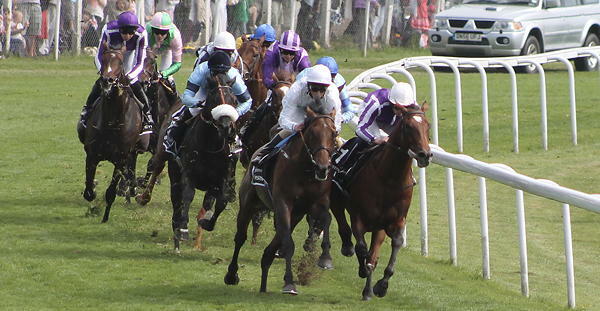 Coming at the start of June is the Derby Festival at Epsom Downs. Occurring Friday 2nd June to Saturday 3rd June, the meet is famous the world over and you can catch the whole thing this week. You'll see the best three-year-old thoroughbred horses and top jockeys compete in front of over 100,000 people, from royalty, to celebrities and the general public. You can also enjoy the Oaks Race and the Coronation Cup for older horses, which is one of the three Group 1 races at this meet. If you can't make the event, you can always watch on TV and learn about Ladylucks' selection of mobile slot games, including horse racing themed Fire Horse and Champion Raceway that can keep you entertained. Royal Ascot is much more than than a racing meet, as it is a staple of the UK social calendar. The five day event begins on Tuesday 20th June to Saturday 24th June. Fifteen races will take place over the week with at least one Group 1 race. Over £3.5 million will be available for the winners and you can check out the Gold Cup on the Thursday, as well as the Coronation Stakes Queen Anne Stakes, Golden Jubilee Stakes, Prince of Wales Stakes and the St James's Palace Stakes throughout the week. The Royal Family will of course be attending as usual and the Royal coach procession will take place at the start of the event and can be worth the admission in itself. Don't forget that fashion and formalwear are key. Coming on the 13th of July to the 15th, Thursday to Saturday, is the Moet & Chandon July Festival. The Newmarket meet is the perfect way to spend a few days this Summer, with top racing and many other things to check out. The July Cup is the crown jewel of the event each year, that sees racers compete for the European sprint crown in this six-furlong, Group 1 race. That's not to count out the thrills of the group 2 Princes of Wales's Stakes and the Falmouth Stakes. Open-air bars in a quaint and lovely setting give you a way to relax and stay refreshed, going for a garden party atmosphere over some of the more formal race meets held in the coming months. This is just a preview of what you can expect this summer, so stay tuned for more info and the other great races you can look forward to this summer.